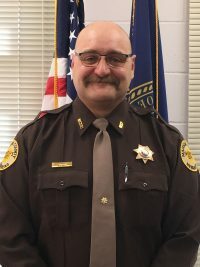 On March 21, 2019, beginning at 9:00 AM an extensive search was conducted in the area of the North Fork of Elkhorn River, from the North 1st Street Bridge to the confluence of the Elkhorn River and beyond, for the body of Scott Goodman. At this time the search did not reveal any sign of Goodman. The search does continue as the water continues to lower, anyone that lives or farms in the area of the Elkhorn River is asked to be observant. After speaking with members of the Goodman Family, they advised that they were thankful for all the prayers and support that have been sent their way and they still remain hopeful that Scott will be found. 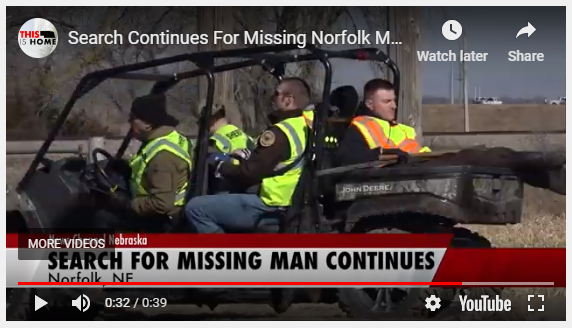 The search consisted of 68 personnel from the Madison County Sheriff’s Office, Norfolk Fire Division, Norfolk Police Division, Nebraska State Patrol (With helicopter), Nebraska Game and Parks (with air boats).